Welcome to the Beginner Series page. 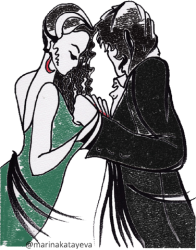 Every Friday at 8pm Providence Tango has a Beginner level class. These regular classes have varied topics and they are always beginner level..
A structured special 6 week series designed for New and Beginner dancers begins on March 15th, 2019. Taught by visiting instructors Angeles Chanaha and Kristian Velazquez. All purchases are final. Purchase is good for designated series only. No refunds. Value expires at end of series. These classes are meant to be taken as a set and we have special pricing for the whole series. Each 6 week series allows new dancers to join in with no previous experience, AND it is appropriate for those who have done one of the previous 6-weeks series as there will be new figures taught. Please purchase a single Series Pass for each person separately so we have each person’s name on the list. After each class there is a 2 hour “Practica”, or practice time, you and other dancers will have tango music and the dance floor to work on anything you want. Stay for this extra time and dance with more experienced dancers. Ask them or the instructors for tips or just spend more time working on your new material. Providence Tango is a friendly place! Practica is included with your series purchase, or $5 pp if paid for individually.